In my father’s childhood home, an old bahay na bato in Batangas, there sits an old, wooden bed frame with intricate carvings and an enduring lifespan. It’s beautiful, durable, untouched. It rests under a hanging altar, watched over by a Maria Magdalena idol dressed in elaborately embroidered clothing and with a giant rosary around her neck. Four hours away in Quezon City, 22-year-old me is busy fantasizing about my dream loft. I’m talking about a sensible 200 sq.m. unit with minimalist interiors, an open floor plan, and metallic accents. In that kind of space, there simply isn’t room for an ostentatious queen-sized bed. There seems to be the impression that it’s hard for us millennials to make room. who had lived before us in the lives we’re building today. The baby boomer generation is attributing this hardship to three things: the internet (what’s new), minimalism, and informed consumerism. It’s an old script, really. The thinking goes a little something like this: Millennials are too busy being digital nomads, being too dependent on their digital collections (their selfies and their social media personas and connections) that they no longer care about the physical manifestations of sentiment from their parents. That’s why minimalism is currently glorified. That’s why young homemakers and young professionals living on their own exercise cold, calculating, and informed consumerism when purchasing their household pieces. We aren’t as reliant on physical things like china sets, or big wooden dining tables, or collections of framed pictures to leave our mark in the world. We don’t hold onto these things as social status symbols as much as our parents did. But I hardly think that my generation is as cold and as self-involved as this quote implies—at least, not in the Philippines. 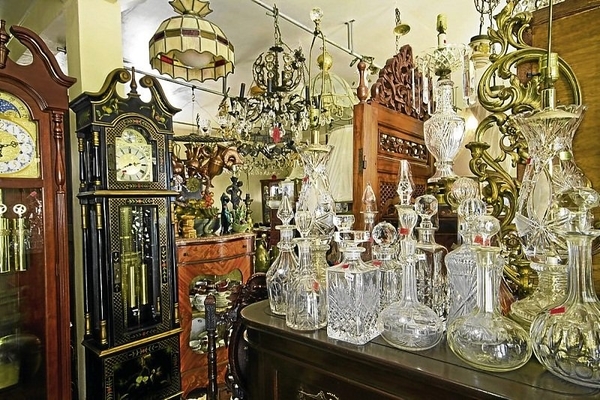 In the province, for example, where most old houses reside, keeping heirloom pieces or inheriting them can be fueled by practicality as much as sentimentality. The ones who do sell items to antique shops or auctioneers often come from the extreme ends of the financial totem pole. A family is either affluent enough to be in possession of several historically valuable pieces that they have some to spare, or they’re the kind of family who could make financial use of an antique piece by selling it to the highest bidder. But for the majority of those “blessed” to be in the middle class, 19th-century armchairs and the like are often kept because they still serve their everyday purpose of being furniture items. In overcrowded Metro Manila, downsizing, minimalism, and IKEA’s Scandinavian furniture are trending. However, that doesn’t indicate our indifference to sentiment and familial piety. So it’s not so much that the younger generation has developed a thicker skin or has grown numb to the sentiments and values of the past. It isn’t that we aren’t making room, or that we can’t be bothered. It’s just that we’ve learned to appreciate experiences and balance them with the practical.